openSUSE News: Software Freedom Day is Coming! "On September 18, it is international Software Freedom Day. Software Freedom Day aims to celebrate Free Software and the people behind it. It wants to spread the word about Free Software and help people find each other." "openSUSE 11.4 Milestone 1 is available today, Thursday, September 2 for developers, testers and community members to test and participate in the development of openSUSE 11.4. M1 starts off openSUSE 11.4 development at a cracking pace with performance improvements in the package management network layer and version updates to major components. This milestone contains libzypp version 8.1, which has a new backend for http and ftp package downloads. MultiCurl replaces the old MediaAria backend, and brings support for zsync transfers and better Metalink download support. These will improve both repository refresh and package install and update performance. Metalink allows the m﻿ulti-channel download of packages by downloading the individual blocks of a package in parallel from multiple servers. ZSync reduces the amount of data to download by only fetching the changed parts of a file instead of the whole file. This speeds up repository refreshes, since due to the way the repository data is structured, it is easy to locate the parts of the metadata that changed since the last update. The new Curl-based zypp backend also gives libzypp and therefore zypper and YaST better support for network proxies, by using the same proxy configuration as the rest of YaST instead of its own, and adds support for HTTP BASIC password-protected repositories. And as an added bonus, MultiCurl should eliminate slow and hanging package installations that occurred due to bugs in the old MediaAria backend." "As a result of the openSUSE Boosters’ ‘HackMeck‘ two weeks ago at FrOSCoN we are proud to present you with a new beta of openSUSE Connect. Connect is supposed to become the central user database for the openSUSE project. Sounds bland, don”t it? But you know the Boosters, everything we do comes with a grain of spice and Connect is no different. The spice here are a lot of nifty social network features like user profiles, friending, groups, an event calendar and possibly more. Thats possible because on top of the user database we use a Free Software social network framework called Elgg. Elgg will help us to go a step further in one of the most important areas of the openSUSE project: Connecting our community. We do a very good job connecting code at the moment but there is no central place for openSUSE users to mingle, form relationships and meet collaborators." "Over the last weeks there has been a lot of disussion, both internally and externally, about the strategies which have been proposed. However, we also missed a lot of voices from our community. We take responsibility for leaving many of you behind by focusing on a very corporate-management solution to the initial question which prompted this process. A question we think still is relevant: The identity of openSUSE both as a Community and as a Project. Initially our goal was to answer: ”Who is openSUSE and what does it (want to) do?” prompted by the discussion about the default desktop at the openSUSE conference last year. In five years the openSUSE project has evolved from a fully company-driven project to a communty project where everybody can contribute. This has brought uncertainty and a lack of direction. The current lack of a clear ‘story behind it all’ is hampering our ability to establish a common identity and sense of security. From a marketing point of view, it becomes an uphill battle…"
"CFDGeeko is a live distribution based on openSUSE 11.3 – 64 bit, whose purpose is to provide easy and immediate access to open-source scientific tools, in particular for computational fluid dynamics. The live distribution was created with SUSE Studio, whose team was very helpful in the process of solving some small problems during the setup. Almost all the packages provided in the images were prepared by openSUSE developers and community volunteers, to whom most of the merit should go." "This week we introduced an important feature to SUSE Gallery — the appliance security summary. It is displayed for every published appliance and is designed to help you better understand what the appliance contains. This is useful for security reasons as you can easily see if the appliance contains any sources where undesirable code might slip in. It also provides a quick overview of the appliance’s contents." "A week ago asked michl on opensuse-artwork list for a design for the next genereation of tshirts. Interesting since then the most doing t-shirt motive for the openSUSE Conference. Javier had a nice idea putting the shape of Nuremberg in the background. And thats what I have in mind right now as shirt for openSUSE Conference." Updates from the new osc client. "I’ve been looking around openSUSE:Tools for Fedora 13 and found the naming could be more Fedora friendly. I’ve made some small patches to the .spec files in order to achieve that and made them available. In addition I’ve also recompiled the stuff using the new spec files and uploaded them for x86_64 only to my fedorapeople.org user space (and made out of it a YUM repository for Fedora 13 users). So far for a Fedora user there is a problem with this packages… xdg-utils has to be brute force installed requiring dangerous wizardry from the user side… it conflicts heavily with the version from Fedora 13 which has a huge amount of dependencies that shouldn’t be messed with. I’m wondering if anyone in the community could help me in overcoming this problem." Christian Hammond has been working on a very cool branch of GtkFileChooser to let you define roots for the file dialog. Normally, this is what my file chooser looks like — it lets me browse anything on my file system:"
You are welcome to request the packaging of applications you have found particularly useful or impressive, and if you are in earnest, why not join us at #opensuse-gnome and start packaging them for yourself? Requests for new applications may be made through comments here, on the mailing-list or at irc, but the best way to do this would be to open a feature request and tag it as “gnome-wishlist-packages”." "With OpenSUSE11.3 nouveau is used be default. In order to turn it off you must add nomodeset to the kernel parameters in /boot/grub/menu.lst and turn on no_kms_in_intrid in the sysconfig editor. So why not add a simple option on the sysconfig editor to do both?" "OpenSuse has done a fantastic job in improving boot time. Today, if we consider the total time required from switching-on the computer up to the moment when the desktop is ready for the user, we can see that the bottleneck has become now the KDE startup time. (...)"
"I really think this would be a strong help to those with writing software in c++. i am currently learning, also a good program to learn as well as you find out what works and what doesn't. very powerful language"
"Feature for yast change console color. And green color for console by default. I think green is opensuse color. For first console stay white, for best look boot log." "The openSUSE-Education Community wants to consolidate their current posts under a more specific category than "Communities". It would be great if we can get a subdirectory Communities -> Education for our posts, so people can easily see what happens in our area." "PackageKit has some magic to install codecs when needed. However, this requires some Provides in the rpm containing the codecs. We need to add a script that will create those provides and change rpm to call that script if it exists." "I love to see all of you, devs, packagers or just curious on the Bacula developer conference held in Yverdon-Les-Bains Switzerland on September 26, 27 & 28. You don’t know what bacula is ? Well I would summarize it as an one of the essential component in enterprise IT. It not only backup your data, it give you them back when needed ! Don’t smile, many backup solution failed (even proprietary solutions) in this last crucial point." Nelson Marques: The Plan: Portuguese speaking community census! "After a long talk with Carlos Ribeiro, Ambassador from Brazil and a devoted member of the openSUSE Community we realized that it is important to get some more data about our Portuguese speaking user base. We will accomplish this by running a questionnaire open to all the Portuguese speaking community that uses or knowns openSUSE Linux." "I'm getting the support of some fellow linux users to organize an openSUSE marketing event at the University of Mauritius (http://www.uom.ac.mu). I'm getting the collaboration of UoM's students' union. We'll set up a booth with a few laptops with Internet connection. The event will take place inside the university's campus, and we hope to get the attention of mostly students from the faculties of engineering and computer science. (...)"
"My students prepare for FOSS Conference at our University (KSTUCA), Kharkov, Ukraine. Presumably it will take 2 days - 15th-16th of December 2010 (see http://kmit.110mb.com). We would like to see your suggestions and everyone is welcome to participate ! (...)"
"I just want to give a short reply about the received promotion DVD`s. I work at school with this and it is a great pleasure for me to do so, because my pupils are able to get one DVD from Open SuSE. They are now in the position to install the software we use at school and to train any matter we discussed. Also I get replies from pupils who already left school. They have an eye at Open SuSE and work further on with it. 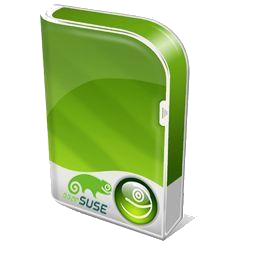 Therefore I want to thank OpenSuSE for the great supply for my pupils." * JIT compilation of Actionscript to native x86 bytecode using LLVM. * Hardware accelerated rendering using OpenGL Shaders (GLSL). * Very good and robust support for current-generation Actionscript3. * A new, clean, codebase exploiting multithreading and optimized for modern hardware. Designed from scratch after the official Flash documentation was released." OMG!SUSE! team: Inkscape updates abound! "Scalable Vector Graphic fans of the world rejoice – Open Source’s premier vector drawing application Inkscape has been bumped up to 0.48, adding lots of fixes and features for artists to get excited about in the process." "Thanks to a tip from our friend @decriptor, it looks like the Google Video Chat browser plugin is now available for openSUSE!. If you visit the download page you can download an RPM for a 32-bit or a 64-bit openSUSE installation. The plugin should allow you to use video or voice chat to talk to all your GMail contacts straight from your web browser. Since I don't use GMail, I can't verify how well the plugin works, but I have successfully held a video chat with a friend using it via my n900." -Eric Paris has some fixes for the notification tree, as he explains (“The most serious bug (and only one affecting inotify and dnotify rather: than requiring fanotify to break something) was actually fixed accidentally in “fsnotify fix ignored mask handling between inode and vfsmount marks”. It was possible for inotify to get events it didn’t request or even events with a 0 mask." "This tutorial will hopefully help inspire you to create your own custom wallpapers and produce a great results in the GIMP. (...)"
"Since a while e.g. the X11 driver for Wacom tablets should work out of the box, no calibration needed. I didn't test other tablet/touchscreen drivers in the last time, but I assume also some other should work out of the box. But sometimes you still need to calibrate your device. But how do you calibrate e.g. your wacom tablet on a openSUSE 11.3 or Factory, since there is no wacomcpl anymore in the package, which was used in the past? And how about a evdev based device? Simply use xinput_calibrator. You can get the package for openSUSE from my openSUSE buildservice repo. " "Linux systems are often installed on multiple partitions, each of which has a fixed size. As your needs change, though, it is often necessary to resize partitions to suit your changing needs. Several tools exist to do this in Linux, but there are a number of potential pitfalls and restrictions that can make the task more difficult than it might at first seem. This article covers advanced partition resizing issues, including using Logical Volume Management (LVM) features, troubleshooting, and alternatives to partition resizing. Part 1 of this series covered basic partition resizing." "Security always requires a multi-layered scheme. SSH is a good example of this. Methods range from simple sshd configuration through the use of PAM to specify who can use SSH, to application of port-knocking techniques, or to hide the fact that SSH access even exists. Applying these techniques can make life much harder for possible intruders, who will have to go past three unusual barriers." "Some people are born to be a database administrator, and others have database administration thrust upon them. If you're in the former group and you need to perform some very basic operations, like creating and backing up databases, you'll find it's much easier than it sounds. Let's take a look at some very basic MySQL administration to get started." OMG!SUSE! team: What openSUSE can build for you? "Ever heard of OBS, also known as the openSUSE Build Service? You may not recognize the acronym, but if you're using openSUSE you're certainly using software built by OBS. The build service provides an invaluable tool for developers to overcome some of the challenges caused by the slight fragmentation between the various Linux distributions. The OBS provides developers of all your favorite apps with an easy to use tool for creating and distributing packages for openSUSE, Ubuntu and Fedora on a number of architectures. The idea of it all being that a developer can upload their code to the OBS and it will produce packages such as .rpm or .deb packages which are ready for openSUSE/Fedora and Ubuntu/Debian respectively"
"As promised, we have a new featured appliance this week and it belongs to Horváth Gergely J.. He will be receiving his Amazon gift card real soon! " "This coming October in the beautiful German city of Nuremberg, the second international openSUSE conference will be held. Before get out your jump to conclusions mat and assume this is just for openSUSE folks, it should be mentioned that the conference isn't just for lizard-lovers but also for all members of the open source community that can attend. The "call for papers" has finished meaning the conference organizers are hard at work preparing the program for the event, which plans to bring folks together from various areas of the open source universe such as the Mozilla and Debian projects. The conference should be interesting for hackers and users alike with Bird-Of-a-Feather sessions, open discussions and of course, plenty of hacking on open source!" I have tried this in the past and have generally gotten poor results. However, I really like the concept of network installations, so I thought I would see if any improvements were made with 11.3. Alas, my experience was similar to how it was with previous releases. The first attempt failed entirely, so I tried it again. The second network installation finished, but I could only boot in failsafe mode after it was done. It seems that some packages get corrupted or don’t install at all. With this kind of success rate, it still just isn’t robust enough for real world use. Onto a different installation method…"
"Since a couple of days I'm using the Banshee music player. Last sunday I installed openSUSE with GNOME on my desktop system to play around with it. Banshee surely stuck - I installed it on my laptop with Plasma desktop as well. It's a very nice player with only one weird thing: it really really likes Opeth. Often I set it to play some electronic music at random, then it suddenly starts moves to metal - Opeth usually. Not that I greatly dislike that, I just have no idea why it does it ;-)"
"Last July, following GUADEC there was some amount of controversy going on in the greater Linux community after Canonical, the company driving a large amount of Ubuntu development, was criticized for number of contributions it has made to the GNOME project. Penguin HUGS! The resulting number of backlash amongst open source backlash-mongers led Canonical CEO Mark Shuttleworth to write a great post on tribalism." "If you have ever spent time away from home, you'll know how the OP feels here. openSUSE is just like that. All warm and cosy. 'Hygge' as the dutch might say." "Typically, upgrades don't always go that well. Crud from the old user account can conflict with the new OS. There are some simple steps to take in order to identify the problem area." "There is a lot of interest in this and the 'call phone' feature. But I wonder how long we will have to wait for the .rpm. I tried it in Mint 9 and it works nicely though." "Multiple HD's can be a cause for confusion. Not only the BIOS settings, but sata socket order, and perhaps if one is sata and the other pata/ide - all this just adds to the confusion." "Today, KDE updated the Applications, Platform and Plasma Workspaces to 4.5.1, new releases bringing a number of important bugfixes on top of 4.5.0. 4.5.0 was released only three weeks ago and receives monthly service updates. 4.5.1 is the first in this series of bugfix and translation updates. These releases improve stability and the user experience further, while not bringing major new features or bigger changes to the user interface. 4.5.1 is a safe upgrade for anybody running 4.5.0. 4.5.1 has been dubbed "Cronjob" as it is one of the regular releases published by KDE, just like a cronjob does. This release will make 4.5 users lives more pleasant by adding a number of important bug fixes, bringing more stability and better functionality to the Plasma Desktop and many applications & utilities. Check the changelog for details about many of these improvements." "The KDE PIM team has made available a beta version of the next-generation groupware client suite Kontact. The new Kontact is built on the Akonadi framework, sharing infrastructure for syncing with online services across applications. While the first bits of Akonadi integration already made their entry in KAddressBook as delivered with 4.4, this beta includes Akonadi versions of most of the other Kontact components, including email using the new KMail2. As the Akonadi-based Kontact marks a major step in the evolution of KDE's groupware apps, the KDE PIM developers decided to apply a feature-based release schedule to this port. It will be released when it's ready, which is realistically still this year. In order to achieve this, we rely heavily on community feedback, so please give this beta a run and get back to us with your feedback, preferably in the form of bug reports on bugs.kde.org." "Today at VMworld 2010, VMware and Novell announced the general availability of SUSE Linux Enterprise Server for VMware®, the first step in the companies' expanded partnership announced in June of 2010. The solution is designed to reduce IT complexity and accelerate the customer evolution to a fully virtualized datacenter. With SUSE Linux Enterprise Server for VMware®, customers who purchase a VMware vSphere™ license and subscription also receive a subscription for patches and updates to SUSE Linux Enterprise Server for VMware® at no additional cost. Additionally, VMware will offer the option to purchase technical support services for SUSE Linux Enterprise Server for VMware® for a seamless support experience available directly and through its network of solution provider partners. This unique solution benefits customers by reducing the cost and complexity of deploying and maintaining an enterprise operating system running on VMware vSphere." "The Linux Foundation is pleased to offer video presentations of all keynote and select conference sessions from LinuxCon 2010." 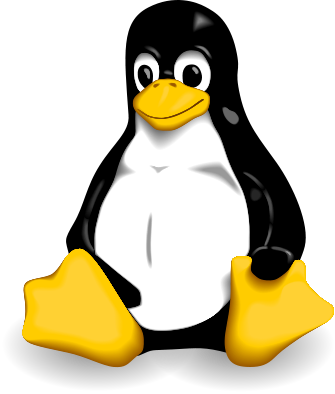 "For the past three years we have hosted an annual Linux Graphics Survey in which we ask tens of thousands of users each time their video card preferences, driver information, and other questions about their view of the Linux graphics stack. This year we are hosting the survey once again to allow the development community to get a better understanding of the video hardware in use, what open-source and closed-source drivers are being used, and other relevant information that will help them and the Linux community." ApacheCon North America 2010: Registration is OPEN! "ApacheCon, the official user conference, trainings, and expo of The Apache Software Foundation, returns to Atlanta with dozens of technical, business, and community-focused sessions at the beginner, intermediate, and advanced levels. The theme of this year's ApacheCon is "Servers, The Cloud, and Innovation", featuring highly-relevant, professionally-directed presentations that demonstrate specific problems and real-world solutions." "VMworld Strange bedfellows VMware and Novell have officially released SUSE Linux Enterprise Server for VMware, a version of Novell's open source OS that piggybacks on every copy of VMware's vSphere hypervisor." "Google Wave is kind of like the Snuggie. You either immediately see its genius or can't figure out why anyone would bother. When Google announced plans last month to shut down development of Wave and open source its code for anyone who wants it, some users were crushed while others just yawned. If you fall into the "I love Wave" camp, then you'll be glad to know the Google Wave team has new plans for the now defunct project. Software Engineer Alex North announced Wave in a Box, an application that will allow users to run their waves on their own servers and hardware. While the app will work out of the box, so to speak, its usefulness and future features will depend on what developers and enterprising hobbyists want to build out from it." "Maltego, developed by Roelof Temmingh, Andrew Macpherson and their team over at Paterva, is a premier information gathering tool that allows you to visualize and understand common trust relationships between entities of your choosing. Currently Maltego 3 is available for Windows and Linux. There is also an upcoming version for Apple users that has yet to be released." "The first release candidate for PostgreSQL 9.0 is now available. Please download and test immediately so that we can move rapidly towards final release. All known bugs should be fixed, so users should promptly report any bugs which they find." Original Post can be found there. "The OpenOffice.org conference celebrating the tenth birthday of OpenOffice.org started in Budapest yesterday morning. Here are some first notes from the field. The opening session was a cool moment, both for the location (the Hungarian Parliament) and for the content. We started in the very hall of the Parliament. Incidentally, the first thing I noted there has nothing to do with OO.o but is a general problem of the FOSS and programming worlds: of about 150 people in the hall, no more than 10% were women, even if OO.o and FOSS users aren't certainly 90% males, are we? But I digress. (...)"
"Some ancient source code given away freely by Sun in 1984 turned out to have a non-free-software license all these years, upsetting the licensing purity of glibc and everything built with it. This may come as a shock, but all Gnu/Linux distributions to date have been built with essential software under a license that clearly meets neither the open source definition nor the Free Software Foundations' requirements for a free software license. The tenacity of a Red Hat hacker has finally solved this problem for everyone, however, and I'm proud to have played a part, too. (...)"
"Malicious hackers are using the Google Code repository to host Trojans horses, backdoors and password stealing keyloggers, according to researchers at Zscaler. The researchers found a malicious project hosted on the free Google Code site with about 50+ malware executables stored in the download section of the project." This page was last modified on 8 September 2010, at 12:41.